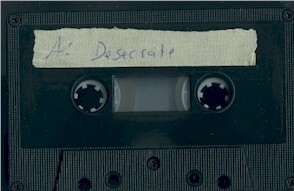 Formed in 1989, the Dutch death metal band Desecrate released two demos: "A Pageant of a Repulsive Coarseness" in 1990 and "The Refuge" in 1991. In 1992 the band changed their name to Sad Whisperings. Pro-printed covers on glossy paper. Studio tapes.